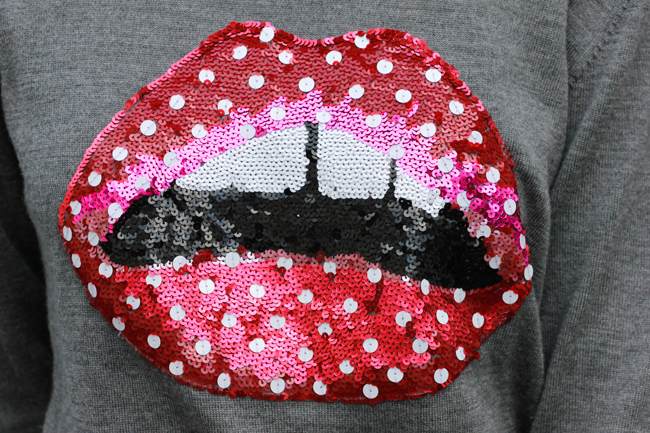 There’s something so easy, yet so chic about a bedazzled sweatshirt, and you can NOT go wrong with the famous Lara Stone sequined merino wool sweater from Markus Lupfer, especially around Valentine’s Day. If you want something a little lighter then you can get the same sweatshirt in cotton. For you jet-setting AG’s out there, I just found the same sweaters on Net-A-Porter with different cities on them. After I finish writing this post I am going to buy this Los Angeles one, but they also have London, Hong Kong, New York, and Sydney. AMAZING for representing your home town while abroad! I absolutely love pairing these oversized numbers with a great pair of jeans or leather leggings. And I feel like the time of year for wearing these is slowly coming to a close, so I am trying to get as much as wear out of them as possible. 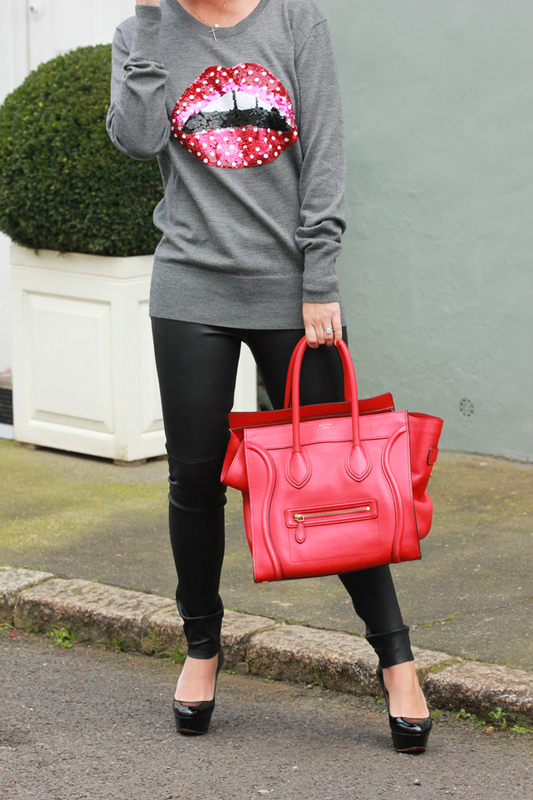 Sweater: Markus Lupfur. Leggings: Zara, similar from Michael Kors (faux) here or Joseph, here. Bag: Celine. Shoes: Christian Louboutin.